During a regularly scheduled meeting Monday, Liberty Township trustees voted 2-1 in favor of authorizing the township administrator to sign an agreement for electric power aggregation once supplier bids are received by Trebel LLC on April 8. Trustees Melanie Leneghan, board chair, and Michael Gemperline voted to approve the motion, while Trustee Shyra Eichhorn voted no. “I’m not comfortable with the agreement,” Eichhorn said. Trustees approved a resolution in July 2018 engaging Trebel LLC, a certified aggregator with the Public Utilities Commission of Ohio (PUCO), in an energy consultation and management agreement. The issue was placed on the November 2018 ballot with 59 percent of voters approving the aggregation of electric and natural gas. Scott Belcastro, a principle for Trebel, gave a progress report during Monday’s meeting. He said the rates are currently really low. Belcastro said most of their bids typically have a 10-day hold, but there’s a catch. Belcastro said he’d have the bids by April 8, but the trustees don’t meet again until April 15. Belcastro said to reduce the risk, the board could approve a representative who could “execute an agreement” for a price below 5 cents per kilowatt-hour. He said by using a representative, it reduces the risk of losing the rate between the time the bid is made and trustees meet again. Belcastro assured trustees that the rates he’s seen lately have been under 5 cents per kilowatt. “If the rate is at 5.1 or 5.2 cents per kilowatt-hour, he doesn’t sign it,” Belcastro said. Eichhorn asked at what point is there a discussion about Trebel’s fees. “It’s already in the rate,” Belcastro told her. Belcastro clarified his statement in a phone interview Tuesday afternoon. He said Trebel will add its fee as millage on top of the supplier’s bid. He also said he couldn’t predict what that millage would be until the supplier’s bid is received. • Trebel will send an opt-out letter to the customers who are getting a variable rate from American Electric Power (AEP) and Columbia Gas, giving them a chance to stay with those utility companies. 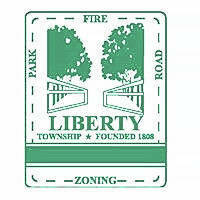 • The program only affects the residents of the unincorporated areas of Liberty Township who will be switched to the Trebel pricing unless they either opt-out or are already participating in a different aggregation program. • Residents of the city of Powell are not eligible for the program. • Trebel pays for all costs to implement and maintain the programs for the length of the contract. This entry was tagged aggregation, D. Anthony Botkin, Liberty Township, Melanie Leneghan, Michael Gemperline, Power, Scott Belcastro, Shyra Eichhorn, Trebel LLC, Trustees. Bookmark the permalink.